I feel like I need to start this off by screaming out, "We are not pregnant!". Ok, now that that's out of the way, lets discuss Sea-Band. 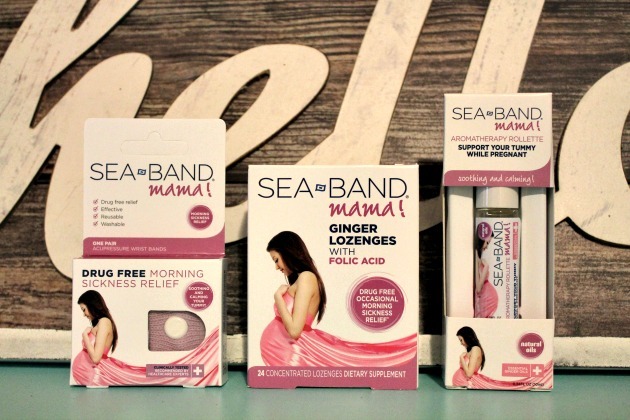 Short review: if you are pregnant and are dealing with morning sickness or nausea and you are looking for a drug-free natural option, Sea-Band Mama is for you! Long review: During my first pregnancy, I didn't suffer from morning sickness really. Every now and then I would feel nauseous, but after some goldfish crackers and ginger ale I was good to go. My second pregnancy, well that was a completely different story. I didn't have morning sickness, I suffered from all day sickness. It didn't matter what I did or didn't do, it was constant. It lasted my entire first and third trimester. Thankfully, I received a little break during my second trimester. I've never dealt with morning sickness or nausea before I was pregnant nor had I heard of Sea-Band before. 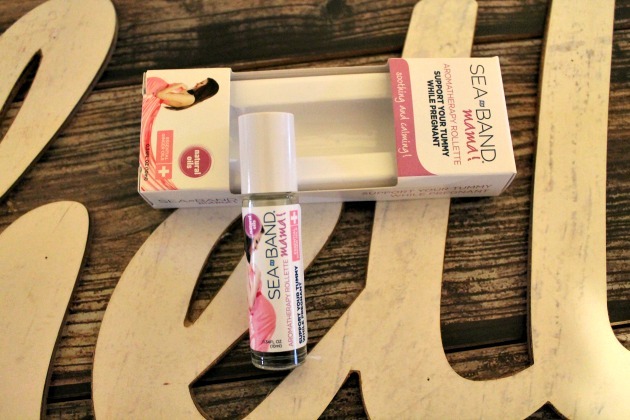 However, thankfully a good friend came to my rescue during my pregnancy and introduced me to Sea-Band Mama! and Preggo Pops. They were both a life saver. The Sea-Band Mama! acupressure bands are made of a very soft knitted elasticated wrist band. The small white plastic stud applies pressure on the Nei Kuan acupressure point. This pressure helps trigger your body to release natural healing abilities. You just simply pull them on one wrist, or both wrist, when you are feeling nauseous. These were comfortable enough that on some days I wore them all day long. I was very skeptical when I first started using them, but they never let me down. They were easy to keep in my purse or in my desk so I could just grab when needed. These were a must have for my second pregnancy. Now, Moms Meet also sent me the Sea-Band Mama! Ginger and Spearmint Rollette. Now, I believe this is something new since my last pregnancy. This smells so refreshing! It's made with lime, spearmint and ginger essential oils which have been diluted and hand blended into the rollette. You simply apply it to your wrist, temples, or chest when required. The mix of these essential oils help you feel calm and will help with an upset tummy. I would have loved to try this while I was pregnant. Unfortnately, sometimes the Sea-Band Mama! wrist bands were not the most professional looking, so during work hours this rollette would have come in handy. The third and final product I received were these Sea-Band Mama! Ginger Lozenges with folic acid. I've never tried these; however, these do remind me of the preggo pops I lived on while I was pregnant. These ginger lozenges are free from artificial colors and flavors. Natural ginger has been used forever to counteract upset stomachs. Ginger quickly produces digestive juices to neutralize stomach acids and soothe nausea. 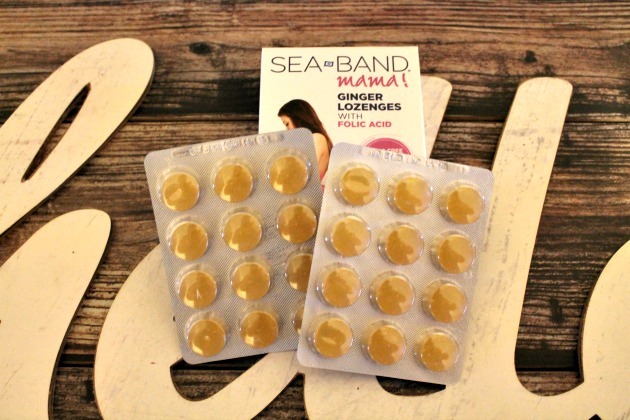 These ginger lozenges are packed with gingerol and shogaol essential oils that can help relieve morning sickness. You take one whenever you need it, without exceeding 10 per day. If these are anything like preggo pops, I'm sure you will love them and they will work wonders! Another great thing about Sea-Band is that you can literally find them anywhere to purchase, including: CVS, RIte Aid, Walgreens, Walmart, Target and many other drug stores and pharmacies. You can find them in your area by checking out a full list of locations here. 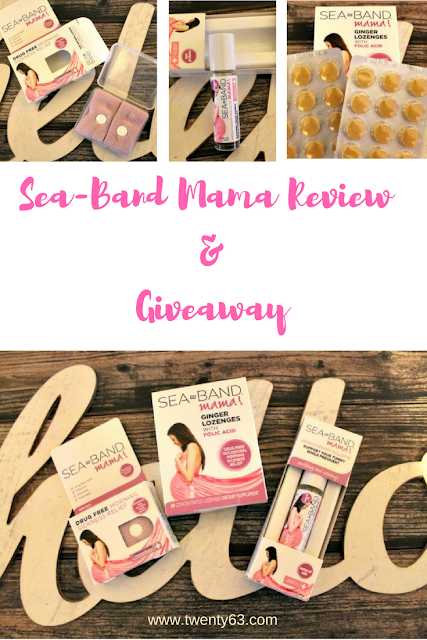 Be sure to enter my giveaway below, on lucky reader will win this Sea-Band Mama! prize pack! They are awesome! Thank you for entering the Giveaway! Congratulations, Julie! You won my giveaway!! I hope you find these extremely useful. I haven't heard of them before, but I sure could use some of those bands! I'm glad you were able to learn about a new product, thank you so much for entering the giveaway!